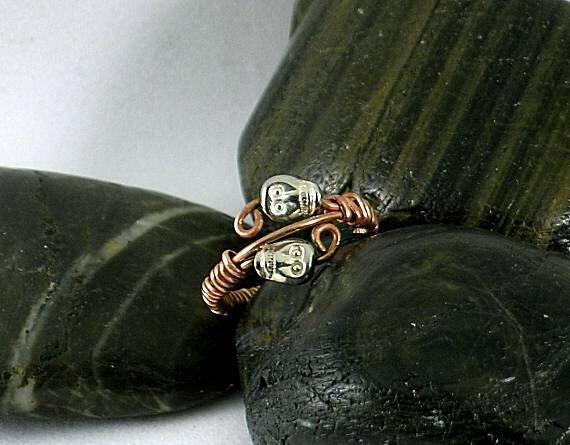 This ring is made of wire wrapped raw copper and is embellished with two pewter skulls that measure approx. 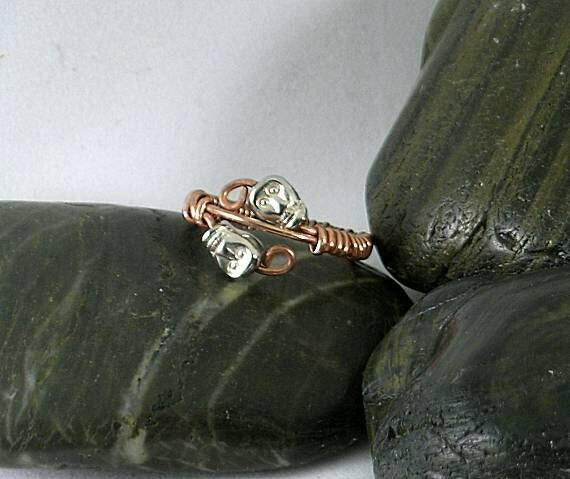 8 x 6mm. At its widest, it is approx. 13mm or 1/2 inch. The one shown is a size 10. Convo us for other sizes. 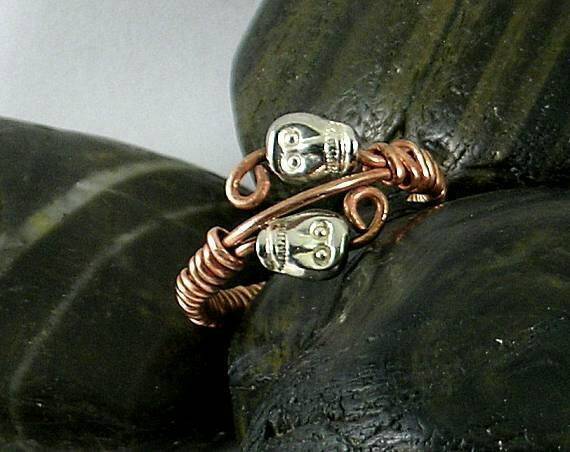 The ring base can be custom ordered in other metals as well; however, the skulls are only available in pewter. 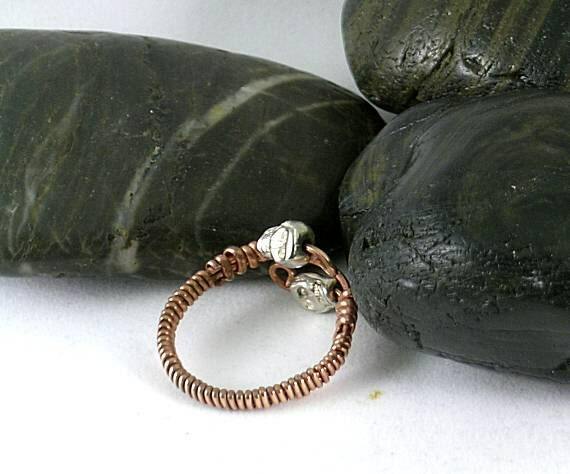 Available metals are bronze, silver filled and sterling silver. Memento Mori translates to "Remember Death" with its skulls, skeletons and other symbols of death have been used in jewelry and religious objects by many cultures to remind people that this life is only temporary and that all must die.